On February 18th, after much waiting on his part, Tyler finally lost his first tooth. Although he swallowed it with his lunch, he wrote a nice note for the tooth fairy and was handsomely rewarded. Tooth #2 (right next to the 1st one) was very loose soon after and came out about two weeks later. 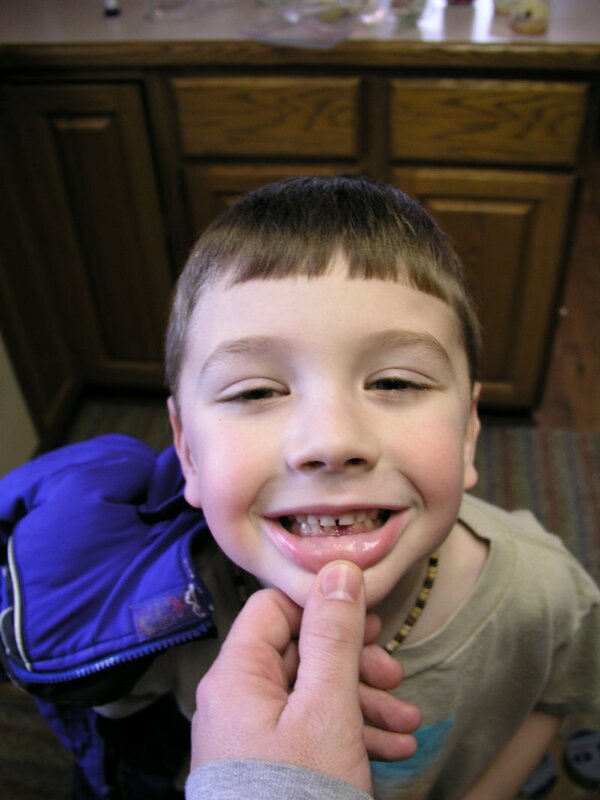 Tyler after losing his first tooth. 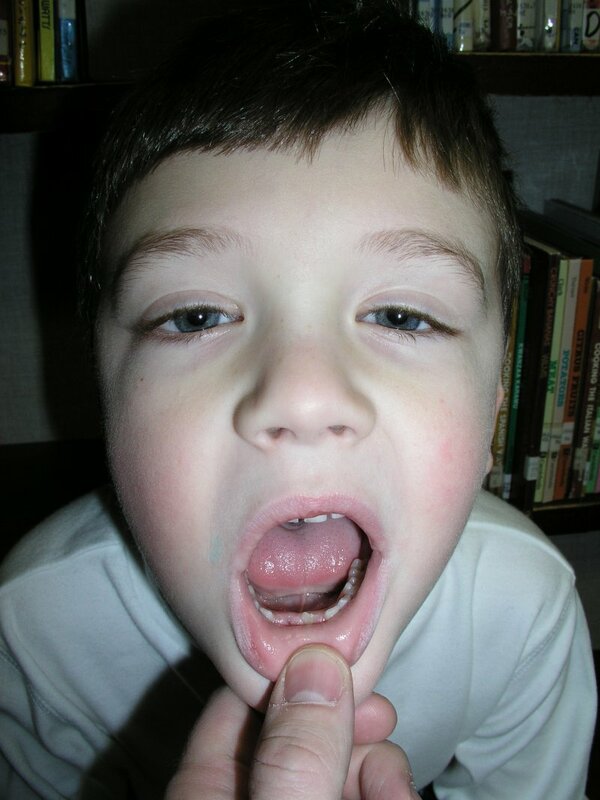 On March 4th, Tyler lost his second tooth while at school (biting on the cap of a marker, of all things). This one was saved, and promptly turned over to the tooth fairy. Tyler with his bottom two teeth missing. On his left you can see his tooth coming in.